In a stunning development on Tuesday morning, all criminal charges filed against Jussie Smollett were dropped by the Cook County State Attorney’s office and cleared from the Empire actor’s record. Smollett was previously charged with staging a hate crime against himself after he alleged two men attacked him in Chicago while shouting racist and homophobic slurs. 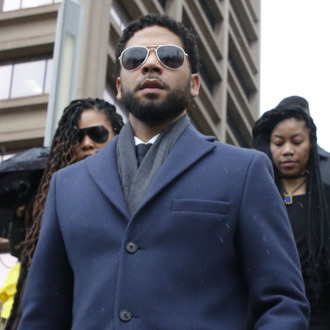 While prosecutors laid out how Smollett allegedly orchestrated the attack against him, the actor and singer maintained his innocence, and he entered a not guilty plea last week. From Smollett’s Empire family to the general Hollywood community, reactions have been trickling in on social media since the news broke. Vulture will be keeping you updated on what everyone has to say.